Original liner notes by Ken Hensley. The letters LP could well mean “Large Problem” for that is what faced everybody involved in making this album. To condense into a single groove, the mood of each song, alone is a monumental task — but when allied with the associated technical precision demanded by today’s high standards it assumes frightening proportions. Like all problems it was solved by a powerful combination; that of great technical knowledge and experience, and determined enthusiasm. All linked by one common factor, co-operation. 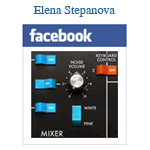 I am delighted to have contributed to this record of which I am immensely proud. Happy too that I have this opportunity to offer the band’s thanks to everyone concerned. This, our first album, embraces vital individuality and a number of styles all adequately displaying individual and collective techniques. 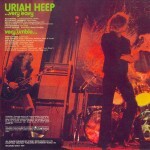 Uriah Heep is a group in its most together sense and possesses, I feel, phenomenal ability and potential. But, superlatives aside, I would like to mention certain points on the album which permit one’s enjoyment of each members influence. Mick’s guitar solo on I’ll Keep On Trying is so simple in concept and yet so very effective although it’s difficult to be specific when commenting on a player of such a consistently high standard. Paul, too, is such a great bass player and complements every arrangement extensively. His writing ability is valuable and appears here on Dreammare. Nigel joined the band with tremendous impact about three—quarters of the way through recording and provides a standard of drumming which is valid and completely satisfying. Credit must go too, to our former drummer, Al Napier. Dave carries our vocal flag with rare precision and expression and has uncanny flexibility which makes him an instrument on his own — a “Davotron” yet! As one of the main writers in the band his contribution is priceless. So that’s a brief insight into the structure of the band which I sincerely hope will enhance your enjoyment of our first LP. Gipsy. Leading track of the album, featuring a wild organ solo and multi-tracked vocal harmonies. Real Turned On. A funky mid-tempo all guitar shuffle, first solo from Ken and second from Mick. Come Away Melinda. A feature for the softer side of David’s voice. Basically a conversation between a father and his young daughter whose mother has died in the war. Lucy’s Blues. Still in melancholy mood after Melinda, we have a slow blues hardly unpredictable but rather pleasant. Dreammare. After a build up beginning “Dreammare” takes up through various dreams and nightmare sequences with some fine drumming from Ollie. Walking In Your Shadow. An all-guitar number, featuring a guitar solo from Mick. I’ll Keep On Trying. Back to the organ for a Gypsy-type heavy arrangement with a frightening wah-wah solo from Mick. Wake Up (Set Your Sights). Lyrically, “Wake Up” couldn’t be anywhere else but at the end. A song that takes us as closely as possible from the beginning to the end of a battle, and then back to the beginning, but differently.